Locating airports using body scanner technology just got easier! 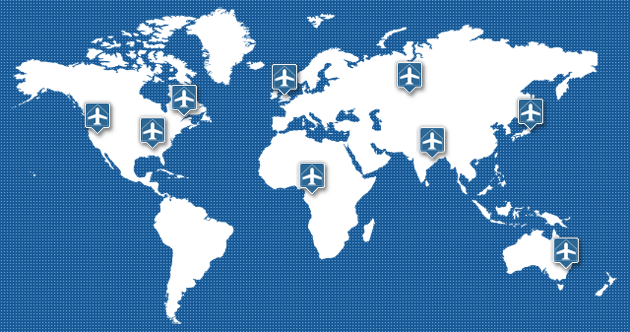 Looking to travel by air but worried about undergoing airport full body scans? Concerned about the use of such security measures and their potential health impact? Or maybe you only want to travel to locations that use those security measures? Whatever your reasons our App gives you the information you need, right when you need it most, to make informed choices about which airports around the world use body scanning equipment. Simply download, install, connect to the internet and launch - all the information you need to know is available for you right at your fingertips! Take a tour of the App! 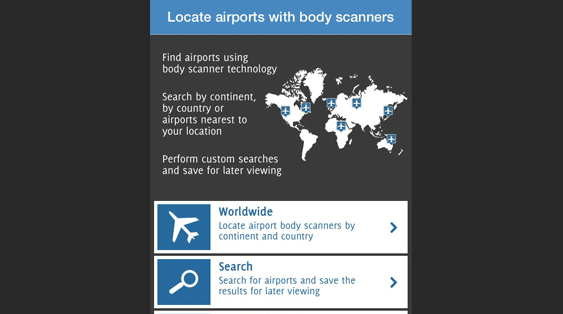 Simply download, install and fire up when you need to find the nearest (or most remote) airport locations using full body scanning equipment. Questions about the App? Get in touch! We’d love to receive any questions you may have regarding our iPhone app. Simply drop us a message using the form below and we’ll do our best to help! The Underwear bomber - MI5, CIA, Mossad and RAW? Follow the money - who really benefits? You must enter a search term of 4 characters or more. Please try again.